"Philly Boy Roy" Ziegler, regular caller to The Best Show on WFMU, visits Patton Oswalt and the Comedians of Comedy at their Philadelphia tour stop. Luckily, Henry from Chunklet Magazine was running his video camera to capture this historic moment. 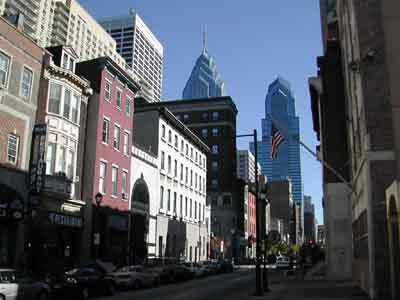 Philly: it's more than just Philly Boy Roy, The Phillie Phanatic and Philadelphia Freeway. Now it's also THE SOUND OF YOUNG AMERICA ON WHYY! TSOYA premiers TONIGHT on WHYY, and will run every Friday night at 9PM. Come on... I know you don't have a date! Listen! Tell them you love the show! The one and only Mr. Paul F. Tompkins visited MaxFunHQ yesterday. We did an extensive interview that you can hear in audio on the podcast in a couple of weeks. In the meantime, though, I've prepared a VIDEO version of the proceedings. You can watch it above, or download it directly from Google video, although the quality may be slightly compromised. If you'd like the iPod-optimized high quality download version, you can get that too... due to it's relatively large size, I'm distributing it via torrent here on MySpleen. MySpleen requires an invite, so if you need one, just email me with your email address and (for security purposes) your favorite TSOYA moment. You don't have to go into detail, I just don't want randoms asking for invites. And be sure to check out Paul's brand new album "Impersonal," which is available at Store.Aspecialthing.com for just ten bucks.